An emerging cultural coastal town rife with theaters, museums, galleries, and practicing artists. 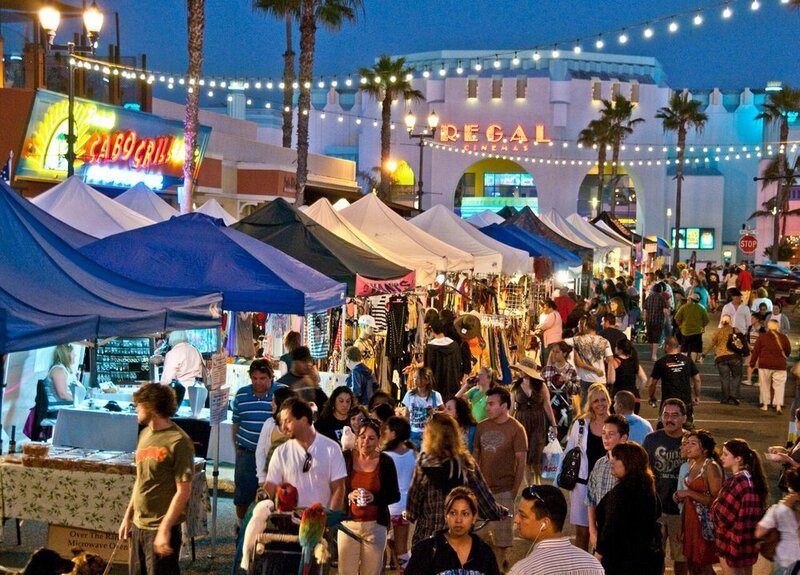 The Oceanside Cultural District is home to an eclectic, emerging art scene. Along the Pacific Ocean with a historic and iconic pier and amphitheater, and adjacent to Camp Pendleton, the largest Marine Corps base on the West Coast, you will find a unique place with an abundance of cultural resources. Artist Alley serves as home to many striving artists, with its art venues and local mural production. The California Surf Museum connects with nontraditional arts audiences while honoring the local surf culture. The historic theaters promote opportunities for all ages and introduce theatrical expression to thousands of schoolchildren each year. Tattoo artists honor the area’s military heritage with much of their work. The annual cultural events in the district are varied, colorful, and celebratory as well as educational, featuring dance, music, and food. Restaurants and breweries in the district display local art and often feature local musicians. Perfectly situated between metropolitan San Diego and Los Angeles, Oceanside is affectionately known as Southern California’s most authentic beach town. Visitors to this beautiful city enjoy a quintessential California coastal escape that includes wide sandy beaches, a quaint New England-style harbor, historic wooden pier, and charming bungalow neighborhoods.